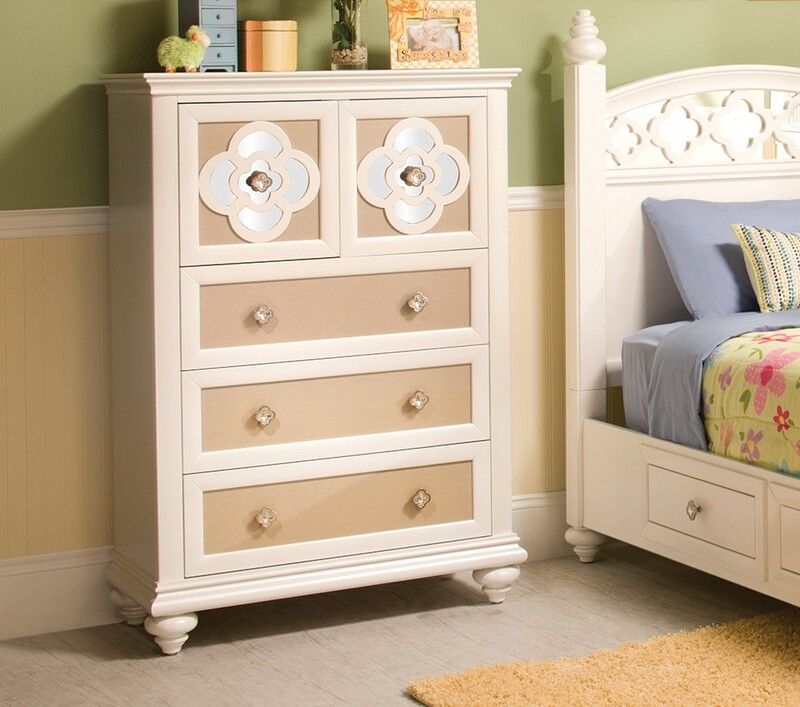 With this charming bedroom set for children and teens, the attraction is all in the details. The whimsically-shaped, hand carved legs, the clever close-up mirror, all with clover shaped accents, including the headboard and drawer pulls, come together to bring a bit of inspired delight. The creamy white finish and neutral brown panel accents make this bedroom set the perfect start to any type of décor. Add versatility by choosing the bed and pieces that best fit your space. 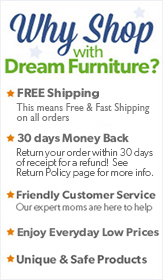 Both beautiful and unique, this bed, dresser, nightstand, and mirror is perfect for your child to grow up in.